The Britax B-Lively is the replacement stroller for the Britax B-Agile which has been discontinued as a standalone model. This new version is both larger when folded and heavier than the B-Agile it replaces making it a poor substitute for a lightweight stroller. It is easy to use and has some useful features making it a good full-size option, but the almost 19 lb weight makes it harder to lift, carry and stow, functionality key to a travel stroller. While you might consider the B-Lively for doing double duty as a full-size and lightweight choice, we think the higher scoring similar Baby Jogger City Mini is a better buy despite the higher price. Britax has been creating baby gear for over 70 years launching in the United States in 1996. In Europe, Britax has the best-selling car seat with a specialized interest in side impact protection (SIP), installation, and strollers. The Britax company now owns the BOB company as well. The Britax B-Lively (in blue) is a full-size stroller that is barely light enough to squeeze into the lightweight stroller review. The fold on the B-Lively is smaller than that of the B-Agile and the Baby Jogger City Mini. This stroller is heavy for a lightweight product, but it is lighter for a full-size stroller and potentially light enough to double as a travel option with a score of 3 of 10 for weight and folded size. This stroller is heavier than the Britax B-Agile 3 it replaces and is now the heaviest option in the review. It is, however, somewhat smaller with a size of 6,612 cubic inches when folded compared to 6,658 of the B-Agile. The similar Baby Jogger City Mini is lighter (but larger) making it easier to carry over long distances. The B-Lively has an automatic locking device that works well and keeps the stroller closed for easier transporting. Thanks to a variety of features uncommon to traditional umbrella options, the B-Lively earns an 8 of 10 for ease of use. Folding the B-Lively requires one hand and it automatically locks and self-stands. Folding is a two-step process of releasing the frame lock (above left) and pulling the seat handle (above right). The brake pedal on the B-Lively is small and located close to the wheel. It is easy to set and release but a larger pedal or better placement would be nice. The brake pedal is large enough with an easy to press design that engages single action brakes and a second press to disengage. The bin fits our large diaper bag and has a 10 lb weight allowance. It has easy access from behind and a unique front access portal behind the leg rest. The canopy back has two small pockets and a medium sized zippered pocket that can help you stay organized and avoid losing important items. The B-Lively has a ventilation strip in lieu of a traditional peek-a-boo window and there is no cover, requiring the canopy to be shortened to keep it closed. The canopy is large with a mesh ventilation strip that doubles as the peek-a-boo window. The mesh strip doesn't have a traditional cover and the canopy fabric folds over the opening to close. You can't check on your baby while strolling without letting extra air under the shade. The B-Lively buckle is somewhat convoluted but the straps are easy to tighten and adjust. The 5-point harness is the same as the B-Agile predecessor. It is an average two-piece buckle that is harder to connect. Straps slide easily for adjustment but the padding could get in the way. The height adjustment is a rethread design by pushing plastic piece through the desired slot. The seat on the B-Lively reclines deeply for napping with a plastic back toggle that requires two hands to fully operate. The sling style seat is padded and has a non-adjustable leg rest and narrow footrest. This stroller comes with adapters for the Britax car seats. Currently (March 2019), the Britax website makes it difficult to tell which adapters are compatible with this stroller and even after attempting to purchase the adapters there is no description on which seats work with it. The user manual directs you to buy a frame for other brands on the Britax website, but the website doesn't offer any information. The B-Lively took us just over 5 minutes to assemble. You have to snap the 3 wheels and install the canopy with no tools required. The manual instructions start a few pages in and are not as good as those with the quick start instructions. The B-Lively is surprisingly agile given the dual wheel design we traditionally find hard to move. It earns a 7 of 10 in a metric where the high is only 8. You can lock the swivel front wheel in place (above left) for better traction over rough terrain and the smaller footprint allows it to move easily through narrow spaces. It is best on flat surfaces with more struggling over grass and gravel. The B-Lively is nice quality compared to the competition in the lightweight lineup, but it isn't as nice as Britax products from the past. 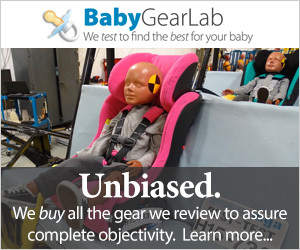 The B-Lively is okay, but in our opinion, not as nice as Britax products of yore. Though, compared to the competition it still earned an 8 of 10. The frame doesn't flex but it has more parts than the old B-Agile 3. The fabric is ripstop but the padding and stitching aren't as nice as previous versions. Britax has made some small changes we noticed like the lack of window cover with magnetic closure, removal of larger zippered pockets, and Velcro on the front storage access instead of the higher quality zipper it used to have.